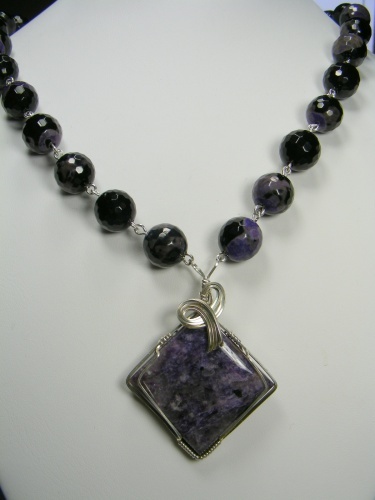 This pretty necklace is made up of faceted agate beads of purple and black with a pretty chariote gemstone focal thats been sculpted in sterling silver curls with a pretty bali clasp with amethyst embedded in it. Comes with complimentary matching earrings. Measures 20" long.